Canadian real estate markets are still significantly cooler than we’ve gotten used to. The National Bank of Canada–Teranet House Price Index (Teranet HPI) resumed price growth deceleration in January. Prices also failed to rise on a monthly basis, for the fifth month in a row. The monthly movement (or lack of), occurred for the first-time the index has done so since 2013. The Teranet HPI is a house price index, that captures the price movement from home resales. It’s run as a partnership between a Big Six bank, and the country’s largest private land registry operator. The index is a similar concept to the CREA HPI, published by member boards. They’re similar concepts, but sometimes produce different results. The Teranet HPI and CREA HPI measure different data sets, at different periods. Teranet, being a land registry operator, uses land registry data – which typically occurs a few weeks after the sale. That means sales that are done, completed, and the buying party has taken custody. CREA members use MLS data, which uses the point of sale. The latter is faster, but since it only uses the MLS data it’s missing non-MLS sales. It also tends to include sales that are cancelled, which never quite slip into the Teranet HPI. The tradeoff is accuracy or speed, your choice. Neither is better or worse, but using both will give you a better picture of the whole market. The C11, an aggregate index of the country’s largest markets, made a slight decline in January. The price index fell 0.05% from the month before, but is still 2.18% higher than the same time last year. Prices are now 1% below their all-time peak reached in September 2018. NBC Senior Economist Marc Pinsonneault noted this is the fifth consecutive month without a rise, the longest run since March 2013. Toronto real estate prices are down from peak, but did advance from a month before. Prices increased 0.13% in January, and are now up 3.63% from last year. Even with the climb, prices are still down 3.83% from the peak hit in July 2017. The annual pace of growth has also resumed its deceleration. Vancouver real estate prices went negative for the first time in over half a decade. The price of a home fell 0.27% in January, and is 0.02% lower than the same month last year. Prices are down 3.21% from the all-time peak reached in July 2018. This is the first year-over-year decline since August 2013. 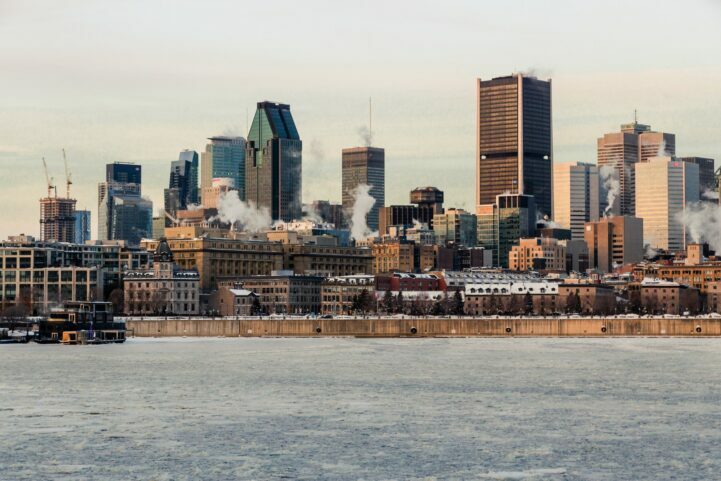 Montreal real estate prices reached a new all-time high. The price of a home increased 0.19% in January, and is up 4.46% from the same month last year. This represents a new all-time high. Despite bucking the trend, the market underperformed the national market for years. This is less of a boom, and more of a catch up. Canadian real estate prices are positive on a year over year basis, but most markets are down from peak. Montreal is one notable exception, but it underperformed over the past few years. Even now taking the lead, it still has a long way to go to see the kind of movements experienced in Toronto or Vancouver. Stats from a bank and a land registry company! This Index is terrible. Not accurate and always late to the party. This is funny, down 3% from all time highs???? some snake just claimed real estate prices are back down to 2015 levels. If I recall there was 30% jump. For housing to come back to reasonable levels it needs to be 30-40% lower. Young skilled Professionals are already leaving Toronto. Let the brain drain begin, once young skilled Canadians leave the economy is screwed hence housing prices. such sort sighted policies, what happens when Canada needs to refill it pool of skilled workers? immigration, ok this makes sense now. high housing price leads to native high skill Canadian population reduction, leads to more immigrantion? what’s the plan here? make as much money as you can, save as much as you can and leave this %&^# hole they call Canada? or atleasdt run from Ontario OWE. WHO the &*)(&^ would want to retire here? lol seriously? It’s the same plan that farmers have when bee farmers collect honey from beehives. Ripped-off bees have no choice but to make more honey and if some die off, well you can always invite more from less greener pastures. What baffles me is how easily people are fooled into this trap. Anybody with a high school diploma should see the difference between affordable housing and affordable mortgage. An affordable house is one you can buy or build without borrowing any money. Such thing disappeared in this country many decades ago. An affordable mortgage is one where you don’t choke on monthly payment. With Montreal seeing historic gains and TO and Vancouver’s deplorable fall it is glaringly obvious the one thing driving prices up in past years has been the foreign investor…When Montreal has to take measures as did TO/Van It will just reinforce this statement…when will they learn and correct this..how will they correct this, and I believe there is a long way to go before we hit bottom..The industry would like to see a soft landing as this takes place but when panic kicks in its a free for all as the market free falls. Long term, it bodes well for that city. Most of the city remains at a human scale. The Boomers are going to die off i the next twenty years. With a birth rate of 1.60 births per female. Real estate prices are going to plummet.